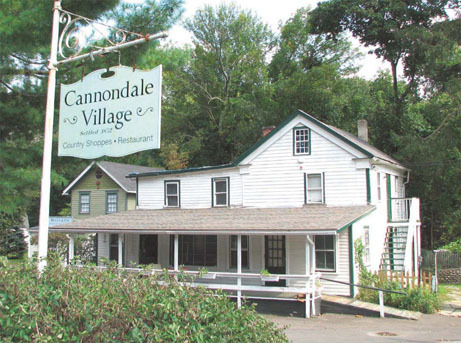 Nestled in a picturesque valley along the Norwalk River, Cannondale Village is the lovingly-preserved hub of Wilton's mid-19th century agricultural community. 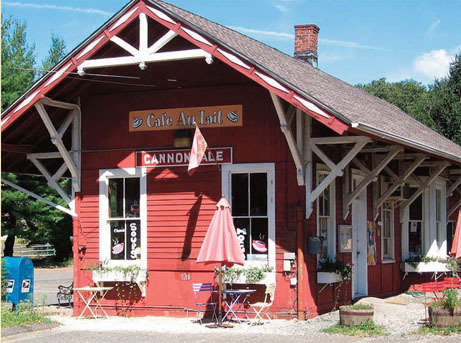 A veritable time-capsule of New England farming life, the village includes an 1896 Victorian train depot (currently in use as a Metro-North commuter station), an 1872 one-room schoolhouse, the former Gregory's General Store building, the former Cannondale Post Office, historic barns for storage of agricultural produce awaiting shipment by train, and a former water-mill overlooking the secluded Cannondale Pond and a 60 ft wide waterfall on the Norwalk River. assortment of country shoppes and restaurants. 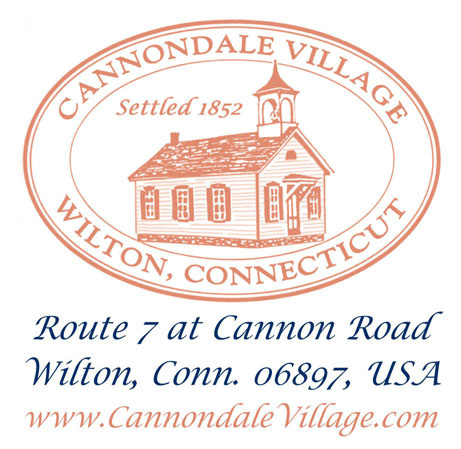 Cannondale Village is less than an hour's drive from New York City by car, and 1 hr 20 minutes by Metro-North train from Grand Central Station.